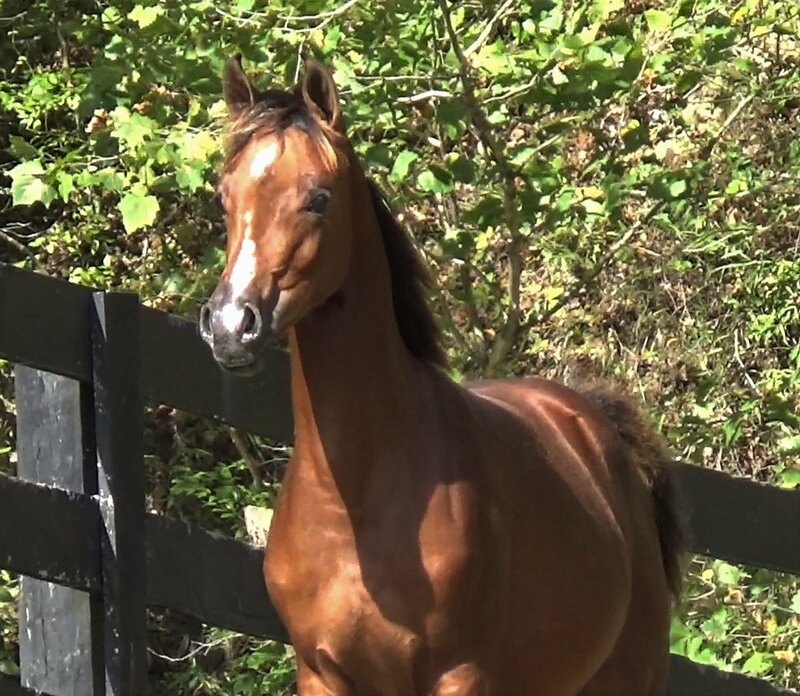 Dangerous Curves DH is a beautiful Purebred Arabian Filly. 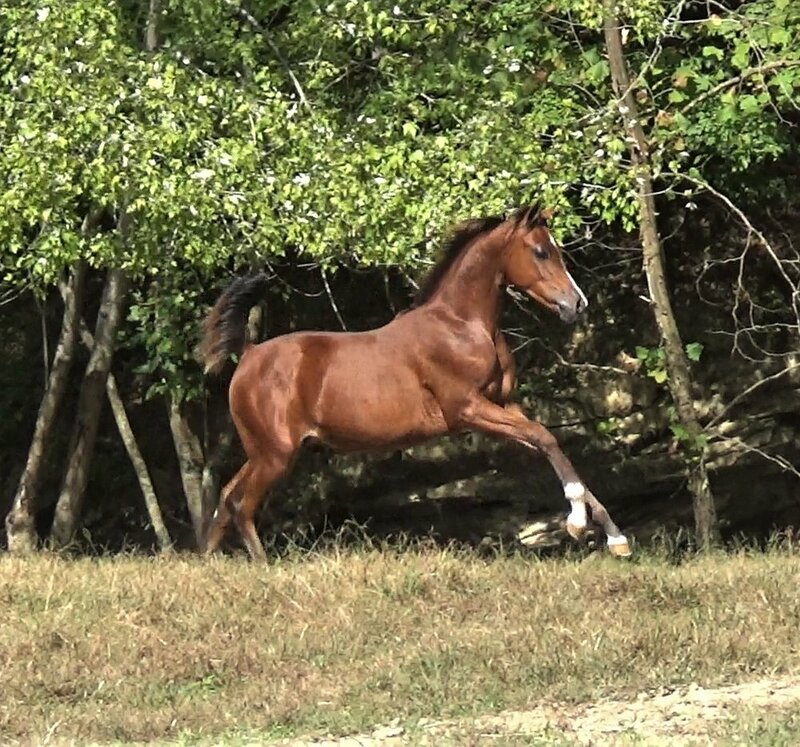 Just a weanling, this little already exudes great quality, lovely movement, and a certain sparkle. 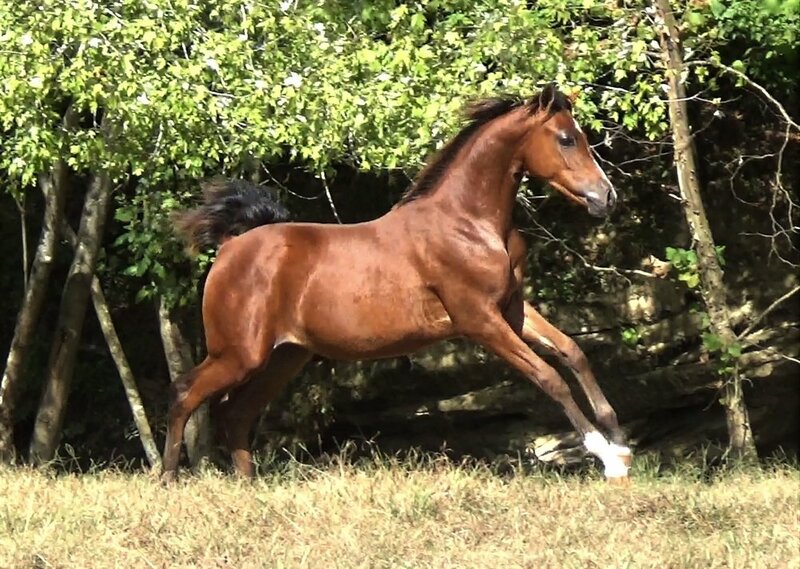 She will have all the qualities that it takes to be a show ring star. “DC” has a beautiful face with the most liquid eyes. So dark and enticing. You can see her soul. She has a lot of expression and style, with a smooth body, good legs and a correct body. She can certainly halter now and will be a stellar Western mount in a few years. She will be a great addition to your herd. 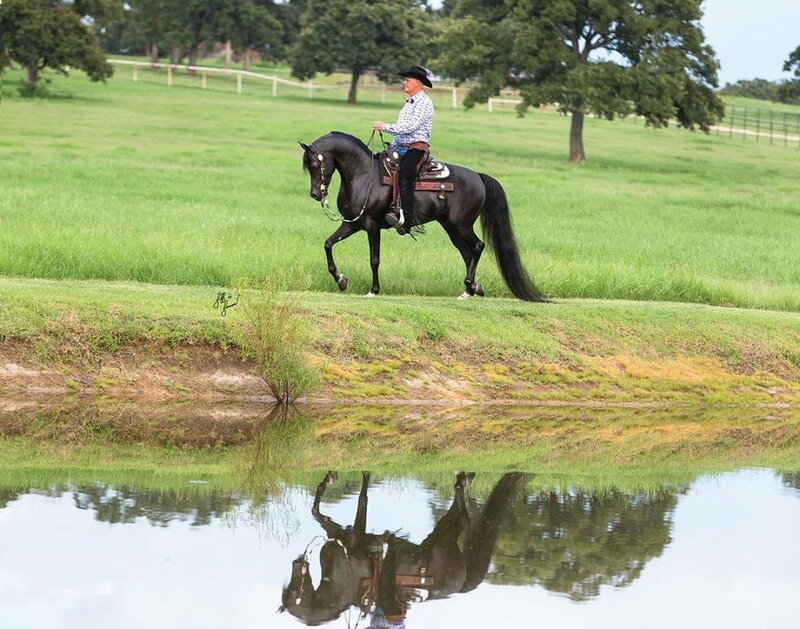 DC is sired by Triple Crown National Champion Western Pleasure, Diesel Smoke CBA who is by the world renowned Sundance Kid V. His dam is a daughter of CA Hermoso, one of the breeds most winning Western horses and sires. DC’s dam is Joddette, who has produced many great offspring for us. They have shown in Western to Dressage, after Halter when young, all with amateur owners. One filly was exported to England. 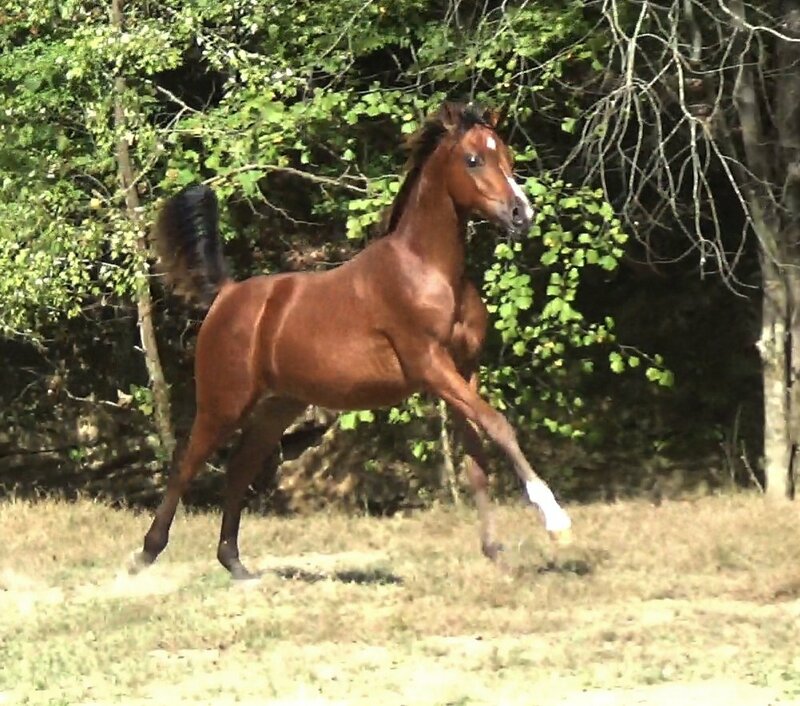 This filly has a great lineage, one that will be sure to be great in Halter, Western and Breeding. DC is a very well mannered girl. She has been shown in hand and won money in the KAHABA Program. She also won her ATH Class. She then went on to show in Trail In Hand, with no practice, in the mud and rain. She pulled off a third place, the only weanling shown in the trail classes. 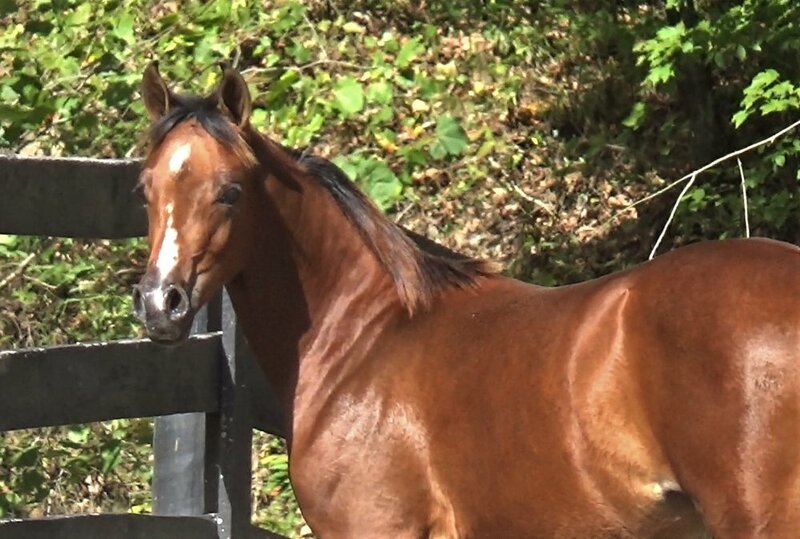 Much more than a pretty face, she has the brains and versatility that a good Arabian is known for.